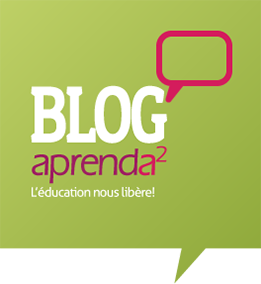 Blog aprenda2.org in English » Latest News: Introducing the aprenda² Blog! Latest News: Introducing the aprenda² Blog! Written by Railane Louven. Translated by Sophie Foggin. Have you realised that since our company was born we are always learning something new? Asking questions, studying and working; asking questions, studying and working, asking questions, studying and working… We have been constantly and involuntarily repeating these same actions, every day. “Education liberates us”, the Greek Philospher Epiktetos once said. Education is a fundemental human right: it offers personal, intelectual, professional and social development for every individual. A quality education allows social, economic and cultural evolution of the human race, thus guaranteeing a better quality life. However, unfortunately, the reality in which we currently live is that a large portion of the global population still does not have access to education. Creating new educational tools, through the training of a community of teachers, in order to develop methods and cutting-edge educational tools that the public and private educational sectors can then benefit from. Teaching languages, beginner’s Portuguese for foreigners or French, with native teachers (Brazilian or French). The course is aimed as much at the language, as it is the socio-cultural part of the country, teaching pupils: habits and customs, local history, art and general culture, promoting intercultural mixing. Translations: simple, certified or technical, into English, French, Portuguese, Spanish, German, Italian and Arabic. Aprenda² does level M translations, that is to say, in the Maternal language of the translator, purely to remain as faithful to the language as possible and produce the best quality work. At Aprenda², we have a commitment to education! With this in mind, we thought of creating the Aprenda² Blog, the idea being to help our pupils, friends and also those who are looking to find out about the company. To start off with, at the moment, our content will be aimed largely at a foreign audience, however, we intend to expand the Blog in the future. Being foreign is not easy! Frequently, we chaperone some of our Portuguese pupils to get through situations that can be easy for natives, but difficult for foreigners, for example, how to apply for/ withdraw a CPF without being Brazilian. Our objective is increasingly to help and make the life of our pupils and foreigners easier, in general, while they are in Brazil. The Aprenda² Blog is a work-in-progress, but it is being made with love and care by us at Aprenda², therefore, we are counting on your help to keep improving! We are open to suggestions, compliments, criticism, comments, all types of participation and exchange of opinions! Did you see our post and like it? That’s great! We are really happy you visited and hope you do so again and read the next post. When you want to talk to us, just leave us a comment! That’s lovely! We love hearing your opinions. At the end of the post, there is a space for comments: just select your desired option (Facebook, Disqus or through WordPress), write your message and click ‘send’. Gosh, sorry! But, we’ll talk: what did you not like or not agree with? Leave your comment here so that we can talk about it, and ultimately, all criticism is also welcome! We appreciate your visit anyway! Aside from the Aprenda² Blog, you can also find us on Facebook, G+, Twitter, Instagram, and on the Aprenda² website! That’s all for now… see you in the next post!